Today is a rainy day here in Shanghai, and nothing beats the dreary weather quite like a brightly painted Korean restaurant that serves great bibimbap. You might be wondering what exactly is bibimbap. Well, just imagine a small slice of heaven on earth. 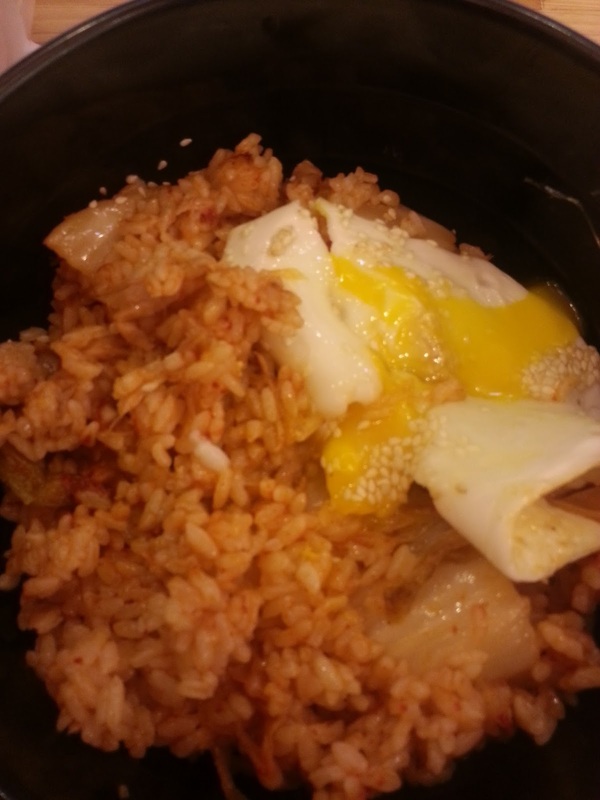 It's a perfect blend of rice, vegetables, kimchi and a fried egg. Korean mothers at my school have told me that kimchi helps clear up acne, brightens the whites of your eyes, and other superpowers that I've since forgot. We all know mother's know best; especially on Mother's Day! So when you're jonesin' for some Korean comfort food, order bibimbap, and you certainly won't be disappointed! The deets: Korean Restaurant next to Nanjing Xi Lu metro stop. Leave the metro station at exit 4, and you will see it on your left.